You're currently viewing product Sign Bracket 14 inches long in category Sign Brackets. Sign Brackets.. click on the image for a larger view. This bracket is 14 1/2 inches wide by 8 inches high overall. It is made for either horizontal oval, 6 1/2 x 10 or 8 x 12. 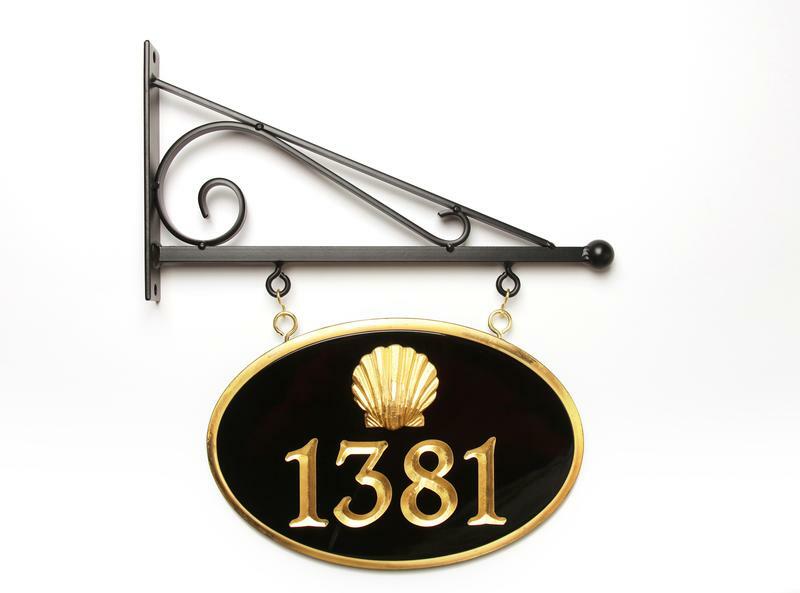 Comes with lag bolts to mount the bracket, and eyelets and 's' hooks to mount the sign. This is all the hardware you will need. If the bracket is for a sign you just ordered, please indicate this in the 'size of sign box'. If the bracket is for some other sign, please indicate the size and the desired separation of the hooks. If your sign is a 6 1/2 x 10, or an 8 x 12 hung vertically, you can also check out the 12 inch small size brackets that we sell here.